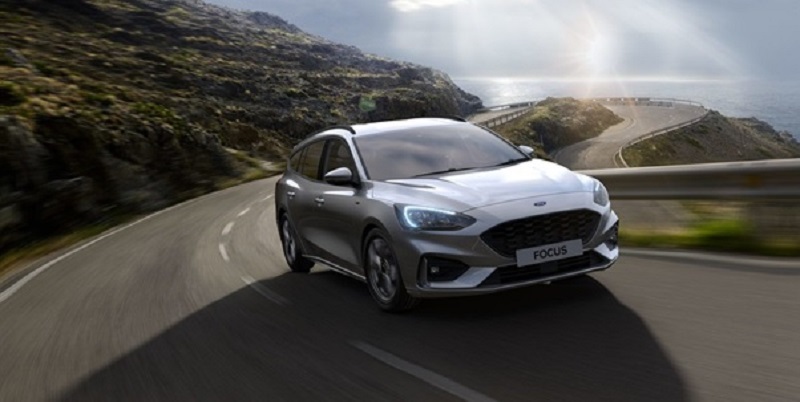 We’re excited to announce the launch of the All New Ford Focus 2019 with it’s advanced technology, small but powerful-for-it’s-size engine and practical spacing. This next generation car is packed with an impressive set of Driver Assist Technologies including Pre-Collision Assist with Pedestrian and Cyclist Detection, Adaptive Cruise Control and Intelligent Speed Assist. Its technology that’s so effortless and useful, you’ll wonder how you ever did without it! Described by Top Gear as “the sweetest drive in the mainstream hatch class” offering agility mixed with ride comfort. It’s driving appeal comes from a balance of sweet engines, fine steering, great cornering and well-tuned ride. The All New Ford Focus 2019 performs its best at higher speeds highlighting its impressive talents which you will definitely notice. The All New Ford Focus 2019 is available with a powerful 1.5l EcoBoost engine, complemented by an 8-speed automatic transmission with a rotary gear shift dial. The exterior design has also been sculpted to create a shape that’s both athletic and aerodynamic, whilst helping to improve efficiency even further. Paddle Shifters are available with the All New Ford Focus 2019 automatic transmission. This racing-inspired technology puts swift, effortless gear changes at your fingertips. And because the Paddle Shifters are mounted on the steering wheel, you can change gear more efficiently when cornering. With a roomy interior, the All New Ford Focus 2019 offers you more space than ever before and is much better than it’s predecessor. The All New Ford Focus 2019 is also offered as a Hatch, SUV or Wagon so there’s sure to be something to meet your specific lifestyle and requirements. The All New Ford Focus 2019 is available now so contact the team at Stillwell Ford on (08) 8269 9999 to book a test drive today! Go Further With Stillwell Ford Offering You Great Cars, Great Service, Great Staff And Great Experiences!